Dawn Rising is having the 8th version update on 2nd of November from 10:00-12:00. 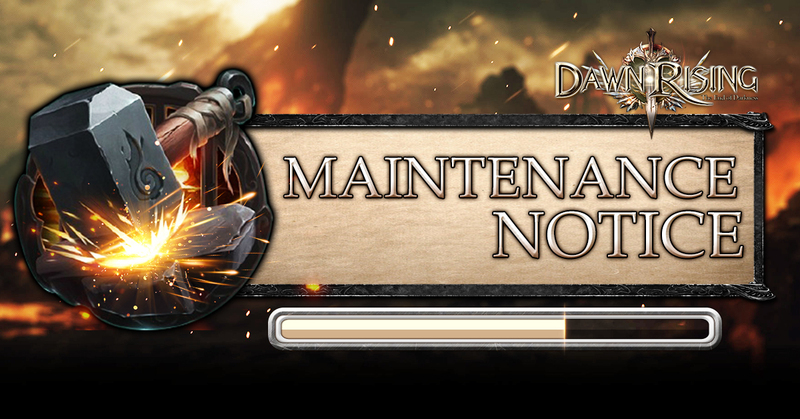 All adventurers are required to log-out 5 minutes before the update starting in order to avoid unnecessary losses, we apologize for any inconvenience caused. Let's continue our adventure together when the update is ready! We wish you a pleasant gaming experience. A jumbo giftpack will be given to every player as an appreciation to all of you, stay tuned! Our Facebook page has reached 30K of Likes, and we have decided to give you the Facebook reward with the most abundant rewards ever! For those who have yet to follow our page, don’t miss the chance! Follow our official Facebook page and join the coming major event!